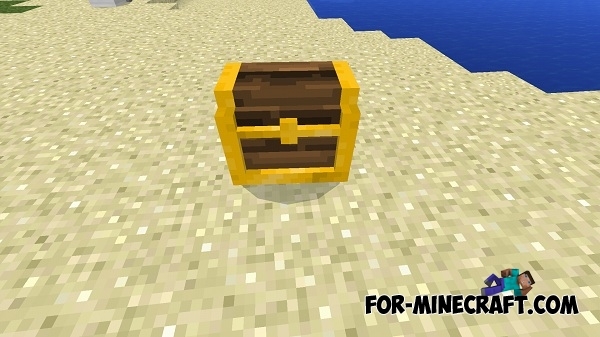 Idea Craft mod adds a new and useful things in Minecraft Pocket Edition! Among these items: the gravity gun and jetpack, a fairly useful things! Nerf Gun (do not recommend to use, because it causes lags). You can get all blocks directly into survival mode, just by typing the command: / giveidea. 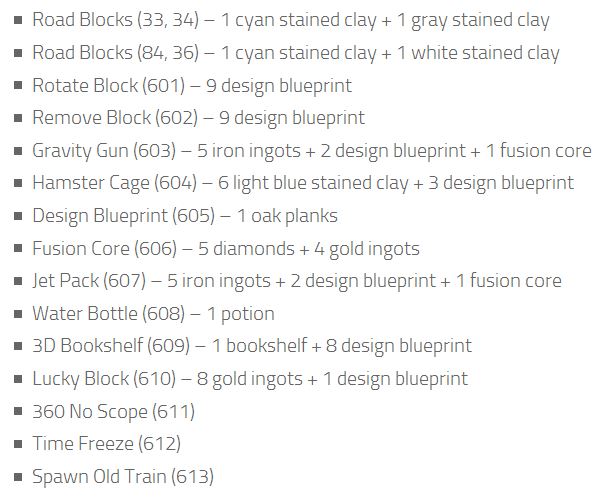 If you like to use crafting recipes, you can find all of them at the bottom of this description. Some items are used as furniture (for example, the old train and a 3d box). With their help, you can decorate the interior of your home. 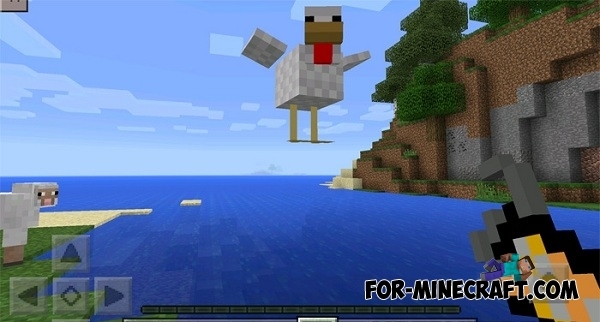 To remove the object you must use the Remove Block (ID: 602), and to rotate objects and blocks - Rotate Block (ID: 601). You can use these weapons to raise the living creatures. It is something like the interior of an object. You can use it to decorate of his house. This unit will boost you very high in the sky! This item will restore the health of 3 points. Get ready for something unbelievable! Sometimes you can get a good valuable item and, in some cases you may die, be careful! Click on the ground to get a new weapon that shoots by deadly missiles at enemies, killing them instantly. 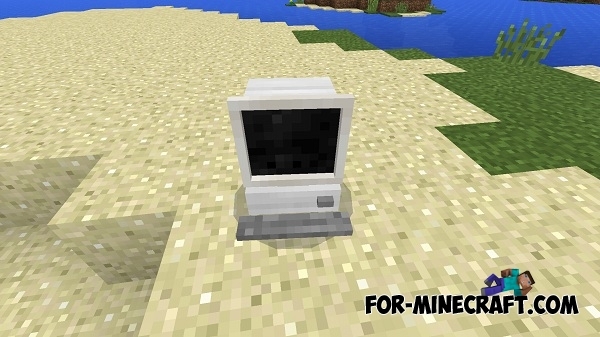 Instantly freeze all mobs around you, if you click on the ground. The train looks nice, but you can not ride it. A small computer that you can place in your house. If you click on it, then open a small window with a browser. At the moment, this chest has no function, but it looks pretty funny. Spawn Hamster - just lovely creature.. 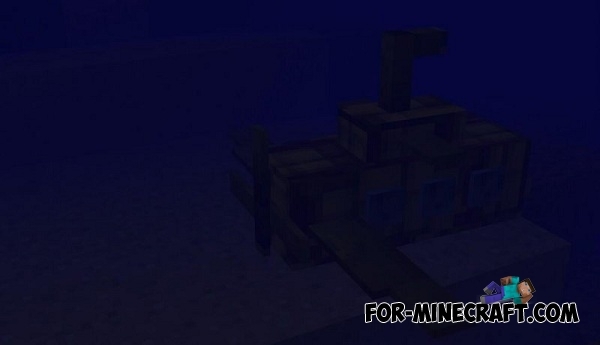 Spawn Submarine - with this thing you can decorate your pond. Frozen Boot - if you take them in your hands and start walking on the water, the water will turn into ice. 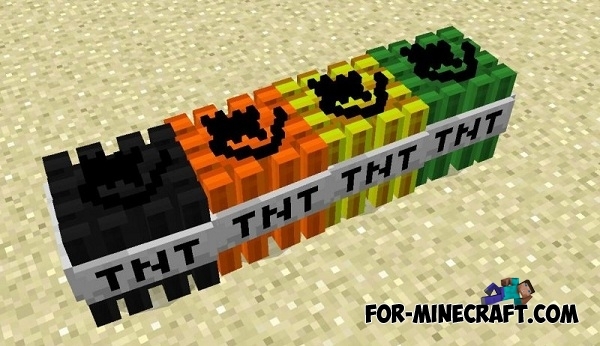 Multicolored TNT - these dynamite blocks have unique explosion and some bugs. Tap on TNT by flint to activate the charge. 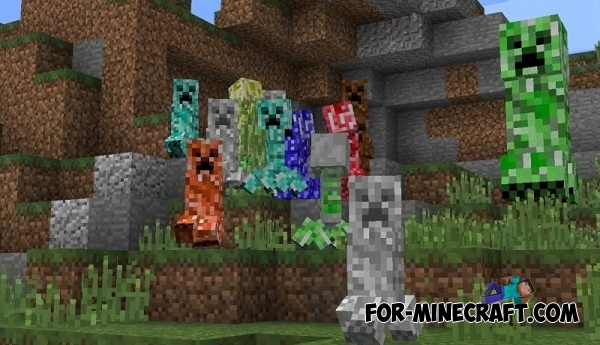 Creepers - now they will randomly change color, size, etc. Some creepers left some effect after an explosion. 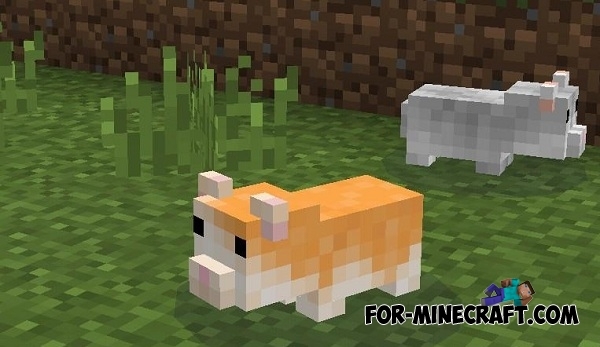 By installing this mod, new mobs will also spawn in your world (new creepers, new skeletons and more)! Will This work on iPad ?